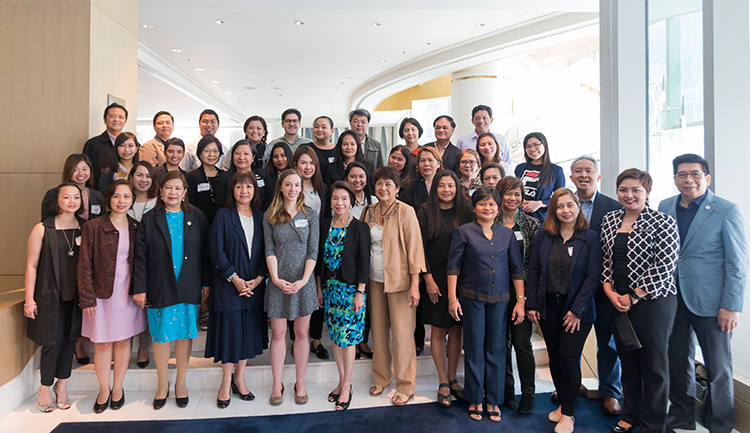 The PCAAE Academy, PCAAE’s professional training and career development center, held its first seminar offering for the year on the topic of member engagement and marketing on February 7, 2018 at the Shangri-La at the Fort. 42 participants attended the training event which provides CEPs (continuing education points) under PCAAE’s Certified Professional Association Executive (CPAE) program. Ms. Arianna Rehak, Director at the U.S.-based AssociationSuccess.org, was the main resource person of the seminar. AssociationSuccess.org http://www.associationsuccess.org/ is a virtual association community that publishes articles and eBooks from specialists, crowdsources concerns from within its community, hosts live discussions and webinars, creates and shares educational videos, and hosts SURGE, a virtual summit for associations worldwide.